Let's face it, searching for a home, whether it's houses for sale, houses for rent or apartments for rent on internet sites or at real estate office such as Realtor.com, Zillow.com, Century 21, or ReMax can be a difficult and confusing process. 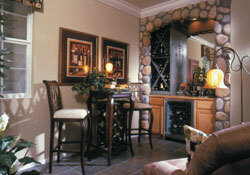 At Clyde Miles Construction Co. we understand that occasionally you may feel overwhelmed by the details. That's where we can help you. Our staff is committed to keeping you informed and making every step as easy and efficient as we can. We're not satisfied until you are. Your time is valuable. Our sales and construction professionals know this and are trained to quickly respond to your concerns. We're here to achieve your objectives, and we try to be fast and flexible enough to meet your every expectation. There are plenty of homebuilders in California but most of them look and act the same. Here are some reasons why we think you'll appreciate the Clyde Miles Construction Co. difference. Clyde Miles is personally involved with every home built whether it's driving nails or inspecting the framing of the home, its important for Clyde to deliver a home that you and he can be proud of. We're a 100% locally owned company. We focus on building move up homes in the metropolitan Bay Area. We're specialists and we're good at what we do. We concentrate on making the home buying process as smooth and hassle-free as possible. We care about the quality that goes into your home. Clyde Miles Construction Co. has been involved in the construction of over 3,500 houses, from first-time homes to $3,000,000 custom residences, with complete customer satisfaction. Our subcontractors are our partners in quality. Our locations are the best. Always near amenities and conveniences. Our designs are spacious, open and exciting, yet practical and efficient. Our sales counsellors at Carriage House Real Estate, with experience in over 20,000 home closings, are here. Our after sale service is reliable, courteous and fast. We carefully select and keep outstanding people.